These 8 Simple Techniques to Handle Fear to develop your Courage and Strength. Tricks that will Pump You Up to Become the Beautiful Woman You are Meant to be almost instantly. The Untapped Gold Mine of techniques to Handle Fear That Virtually No One Knows About. Find Out How I Cured My Fear of Rejection with these 8 simple techniques that can change your life if you practice them regularly. Learn where fear comes from and how it is created in our minds as a result of experiences that happen in the earlier years of our lives. Learn the 8 techniques that I used in my own life experience to deal with the fear of rejection among other fears that used to haunt me. To name a few there is tapping, positive affirmations, visualization, and my favorite Acting As if. Each chapter has beautiful images and illustrations that will inspire you and keep you engaged and interested in turning that next page to see what comes next. Each chapter has an important Action Steps to make sure you put into practice what you are learning right away. 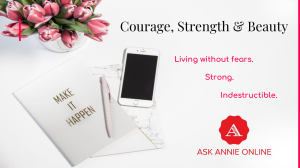 Fun and exciting new ways of living your life with new tools that will improve your self-image and make you feel like the beautiful, courageous, strong woman you really are. 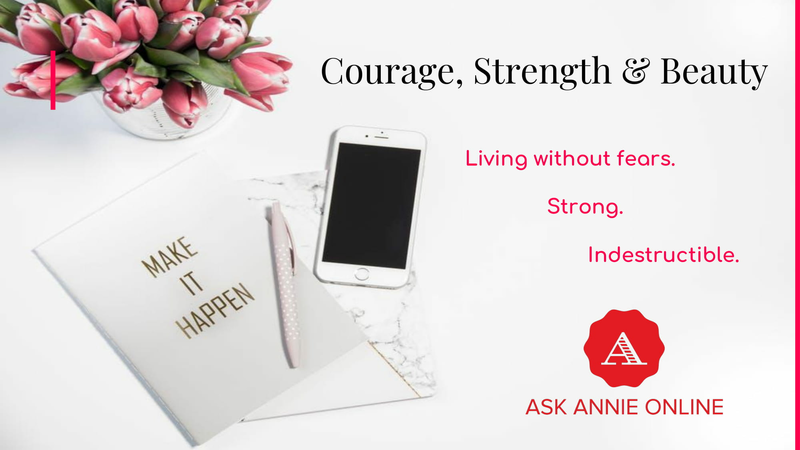 This Study Will Perfect Your techniques to Handle fear and be more Courageous and Strong: Read Or Miss Out! Stop Wasting Time And Start using these techniques TODAY!